Christine joined us in 1990 as our Senior Clerk and under her guidance Chambers has gone from strength to strength, expanding our numbers and increasing our workload and the nature and specialisation of our work to its current level. In 2016 Christine moved from the role of Senior Clerk to that of our Managing Consultant, where she has overall responsibility for the management of Chambers business, regulatory compliance, client care, tendering, complaints and marketing. She is also part of the team who provide our very successful programme of seminars and mock trials for police officers known as The OIC Roadshow. Christine was responsible for successfully steering Chambers through the BSB Supervision Strategy, thus setting the benchmark for our practice management standards. We are extremely proud of the standards of service we provide and Christine ensures that such standards are maintained. She also ensures that we remain fully compliant with the changes in how the Bar must operate in the ever changing world of the legal profession and that we deliver consistently high standards of client care. In her management role, Christine is always determined that professional and lay clients are entitled to and must receive the best possible quality of service from members and staff alike. She strives to maintains excellent relationships with our professional clients and is always available to discuss any potential difficulties or problems that may arise. Christine and Gary Wright, our Senior Clerk, are both members of our Tenancy and Pupillage Committee and as such can always be contacted to discuss any application for Tenancy or Pupillage in confidence. Details of our recruitment process can be found on our recruitment page. Christine welcomes the opportunity to obtain feedback from clients as to how the provision of our services is perceived. Our feedback form can be found under the “About Us” section of this website and we would welcome your comments. Christine likes to travel to new places during her leisure time, preferably to where there is limited wi- fi or a restricted mobile phone signal so the far Scottish islands or a deserted beach, in the sun, are her idea of a dream holiday! Gary Wright first came to Chambers in 2004 as our Junior Clerk on a temporary basis but his enthusiasm and commitment to Chambers soon saw him offered a permanent position. 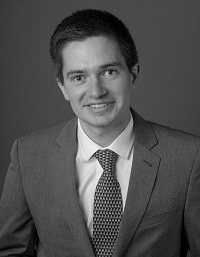 Gary quickly became an invaluable part of the clerking team, dealing with every aspect of the work and in 2010 his dedication was acknowledged when he was asked to become Chambers First Junior Clerk. He took on responsibility for the management of Chambers daily diary and the acceptance and distribution of work in conjunction with the Senior Clerk at that time. This year Christine, our Senior Clerk, took on the demanding role of the management of all aspects of Chambers business and Gary was invited to become Chambers Senior Clerk. Although he is one of the youngest Senior Clerks in The Temple, his experience and commitment rivals that of those who have been in the profession for many years. He manages the practices of each Member of Chambers, and continues to have overall responsibility for the clerking and management of Chambers diary. 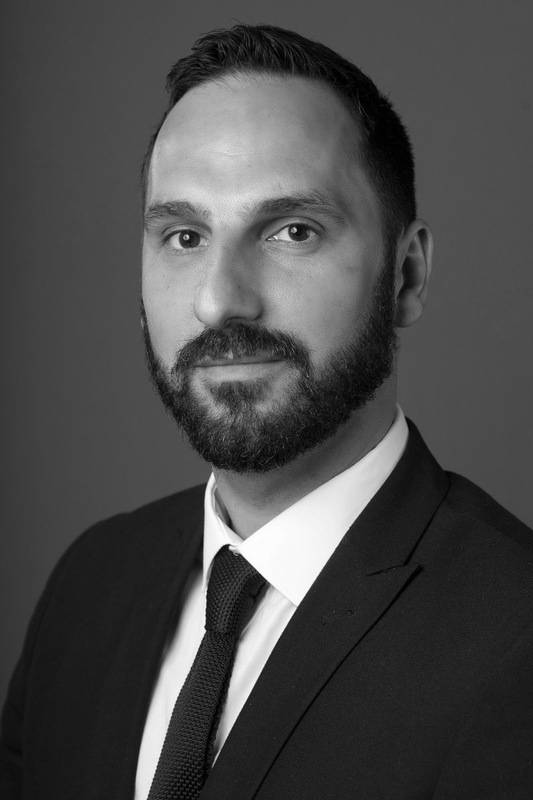 Gary deals with all fee negotiation and enquiries concerning the criminal side of Chambers work but he is also well versed and can assist with enquiries on all non criminal aspects of our practice. Gary is a clerk who delivers a high level of service at all times and as a result of this he has established strong and effective links with our professional clients and court staff alike. When able to take time away Gary bears the unenviable burden of being a West Ham supporter. David has control of the diaries for all Regulatory, Immigration and Civil practitioners within Chambers as well as for those who practice in the field of Direct Public Access. He also shares responsibility for the clerking of the criminal diary with Gary Wright, our Senior Clerk. He will be happy to discuss the most suitable barrister for each case and any fees to be agreed. He can advise Solicitors and Direct Access clients of the availability of Counsel and will be happy to arrange conferences, book court hearings and deal with all aspects of a case from start to finish. We are rapidly expanding the areas of law in which we practice and David will be pleased to deal with enquiries concerning matters that do not necessarily fit into the categories specified on our website. We have a highly experienced team of barristers with diverse practices and we are always willing to explore new areas of work. Martin is a freelance Administrator who became part of Chambers team in April 2009, initially to assist with the administrative duties of the Senior Clerk. Since that time and commensurate with the expansion of the membership and workload of Chambers, Martin has taken on responsibility for the administration of chambers fee contract account through which all of Chambers fees are collected and reconciled as well as the management of Chambers day to day finances. In addition to his responsibilities for finance Martin manages the administration of Chambers in a number of other areas including the website and IT ensuring that Chambers systems are secure and always up to date, the management of CJSM, dealing with Chambers suppliers and invoicing, health and safety, premises, insurances and all practice related requirements for members. Martin takes an active role in the marketing of chambers services and assists with the planning and organisation of Chambers events and seminars. Whilst Martin spends the majority of his time with Chambers he also undertakes work for a number of private clients. This gives him broad experience in dealing with accounts, alternative IT systems and a wide knowledge of how to achieve the best outcome when negotiating for new services for Chambers. This in turn means we can offer the best in terms of technology and resources to our clients. Martin will always be happy to discuss any financial queries regarding Chambers including supply costs, marketing and invoicing, although an e mail would be appreciated initially rather than a cold call. In his spare time Martin enjoys the gym and cycling and when possible a week away in the south of Spain.